The next surgery at the CAP Office in Falkirk will be on Monday 11th December. 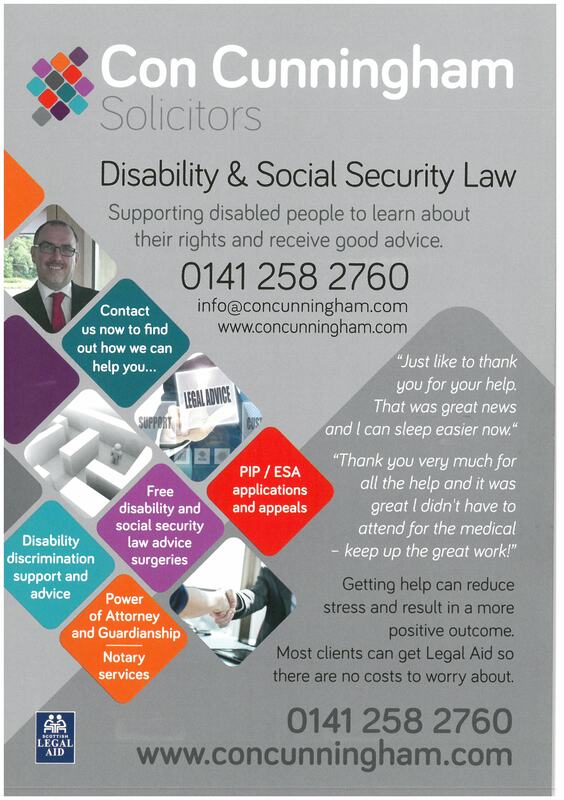 Con Cunningham is a a solicitor, who specialises in benefits. 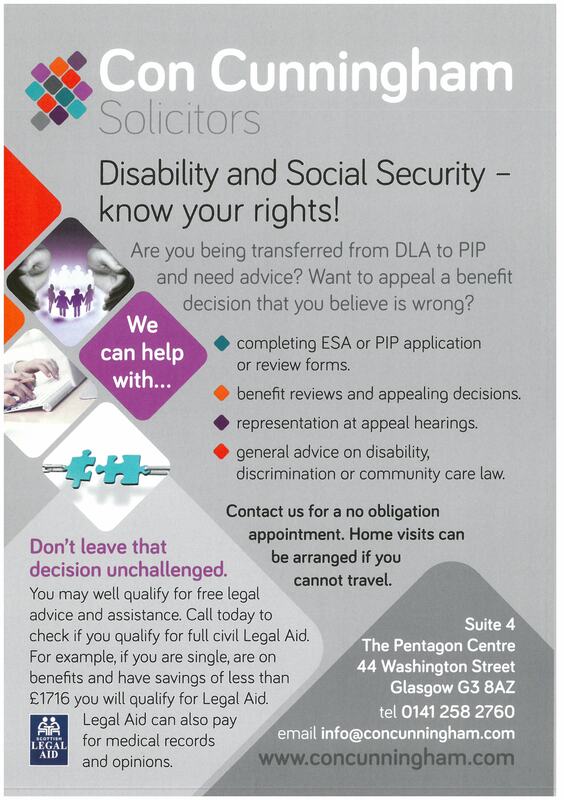 He will assist with claims or appeals for ESA/ PIP/ DLA and changeovers. Don't struggle through this alone, get professional advice. Most support will be covered under legal aid.